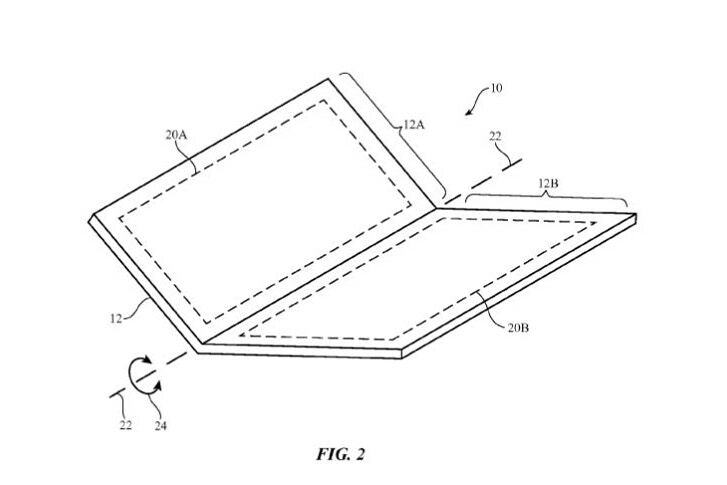 Patently Apple informed about Apple has applied for a patent for flexible displays. This fact corroborates with earlier rumors about Apple’s collaboration with LG on a foldable iPhone that may be created in the future. An electronic device may have a flexible portion that allows the device to be folded. The device may have a flexible display. The flexible display may have a bending region that allows the display to bend along a bend axis when the device is folded. According to the patent, the future device will open like a book. The reports tell about OLED panel, that is currently used in the iPhone X. Despite the display seems flat, it’s actually not, as the OLED film is flexible with its ends folded and hidden under the display’s glass. Due to this feature, the OLED panels can be used in the devices able to fold. First rumors about the flexible screens appeared about a year ago. 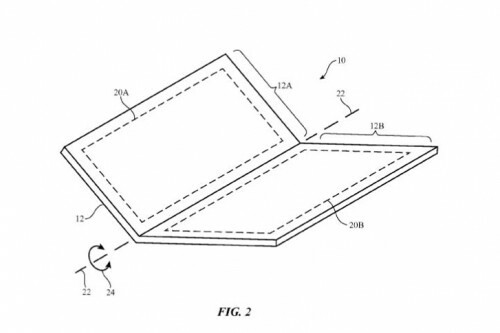 Sources say, the foldable iPhone may go on the market by 2021, but we should remember that not all the ideas that Apple patents are going to be implemented.